May as well copy here the words I sweated over from my submission before they take it off-line or something. I’ll bet this years winners are even more amazing than last years’. As you would expect from the background of the NoToAV campaign director, Matthew Elliott of the Taxpayers’ Alliance, it’s going to be about shameless misrepresentations of costs in order to distract attention away from any of the substantive advantages. Oliver Wright of the Independent spotted these discrepancies last month, but the ads are still going up. I’m going to refer directly to the source document put out by the NoToAV campaign. Photo dated 21 February, Bold Street, Liverpool. 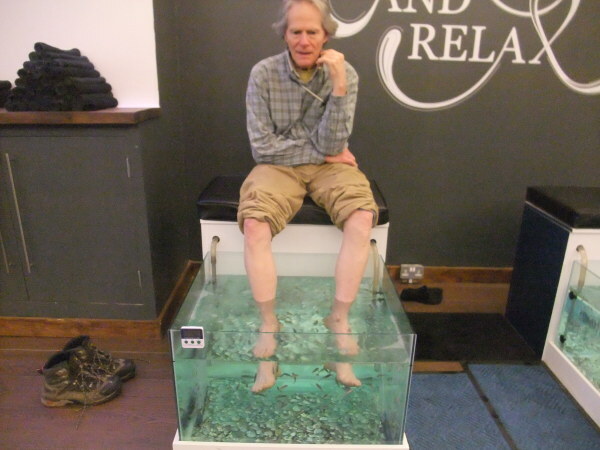 My dad getting his feet cleaned by fish.